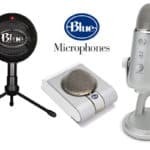 Are you looking for the best Blue Snowball mic stands that can dramatically improve your overall voice recording and vocalizing quality? In fact, most people (including me) merely use the Snowball mic stand as it is after they unboxed the package. Most of the users never realized the hidden drawbacks of the in-packaged mic stand that might deteriorate their voice recording quality. You should not under-estimated, or even ignored the adverse effects of the Snowball tripod desktop mic stand to your voice recording quality. 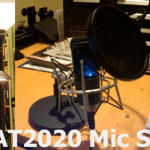 What Are The Things To Consider When Buying A Suitable Mic Stand For Your Blue Snowball Mic? Very sensitive to the Desktop Vibrations. Pick up all noise from desktop such as keyword typing noise, noise from the moving mouse, etc. Short mic stand. You have to consistently move my face close-up to the mic, worse still, the Snowball might be blocking vision to the computer screen if by doing that. Furthermore, it’s totally inapplicable if you intend to use it on stage or in standing position. Space inefficient. It takes up a lot of space, especially for a small desktop. 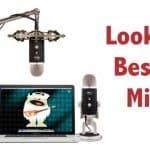 The price point is probably not a primary concern when purchasing a quality yet affordable mic stand for your Snowball mic, as most of the mic stands are relatively cheap. Will the base of the mic stand capable of holding the weight of a solid Snowball? Snowball Ice: 1.8 pounds, up to 2.2 pounds for the Blue Snowball USB Mic. 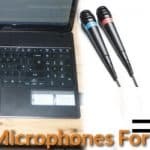 Thus, you need to choose the mic stand that has the solid and firm base to prevent your expensive Snowball mic from dropping. It’s ok for the vertical extension kind of mic stands. 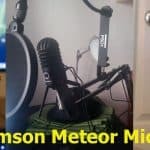 If you choose to use the mic stand that can be extended horizontally, you ought to choose the one that has a very strong holding base that holds the Snowball’s weight. The Blue Snowball mic uses the standard 5/8″ thread head. And you have to make sure the mic stand you are going to purchase has the screw size that is compatible it. Otherwise, you have to buy an additional mic stand adapter for female 3/8″ to male 5/8″. In the process of searching for a replacement mic stand for my snowball mic. I had come across three very quality mic stands that can work with my Blue Snowball hassle-free. Let’s review some of the mic stands I found to be very suitable to use with the Blue Snowball mic. If you are looking for a quality and stylish desktop mic stand for your Snowball, this is the one that will improve your mic audio quality by eliminating the “pop” sound, mouse clicking, keyboard typing and other vibration noises that picked up from every corner of your desktop. It can save up a lot of desktop space for you because the base of the mic stand can be easily attached to the corner of the desktop. Thus, the adjustable boomstick can be stretched horizontally on the air close-up to your face from the corner. Furthermore, this NEEWER Microphone Suspension Boom Scissor Arm Stand’s thread is compatible with the Blue Snowball screw head. The Rode PSA1 mic stand can be considered as the most durable and high-end desktop scissor boom arm mic stand that you can ever find on the market. Its holding capability is so strong that you don’t even have to worry about the end of the scissor arm will tip-off or slip downward. And its built-up is so detailed that you will not hear any noise during boom arm stretching & adjustment. In fact, spring stretching noise is the major drawback of those cheap or affordable scissor arm mic stands. Is the Rode PSA1 mic stand compatible with the Blue Snowball? And the answer is “Yes“. It does work with the Blue Snowball microphone. Below is the video showing you how to attach the Snowball mic to the Rode PSA1 boom arm stand. It’s the most straightforward floor mic stand with 5/8″ thread that works right away with the Snowball mic. This round-base stand does come with thread adaptor, Metal clutch, Cast-iron base. And it can be adjustable from 2.8′ feet height to 5.1′ Feet. The best part of this classical old-school mic stand is that the base is thick and heavy enough to stand-still on the floor even on the carpet. If you always use your Snowball to record your voice in standing position, I’m certainly assured that it’s one of the most suitable floor mic stands you have been searching for. It is quite a good floor boom mic that works with Blue Snowball. It does come with 3/8″ and 5/8″ mounts. So, you can use it with any microphone that has 3/8″ or 5/8″ screw mounting hole. It’s foldable with adjustable height from 38.5 up to 66.” Furthermore, with the features like tilting rotating, 29 3/8″ boom length, boom counterweight, and base locking knob. In my opinion, it’s an excellent boom floor mic to use for stage performance and studio recording purposes. Great. And thanks for your suggestions. The NEEWER Scissor Arm Mic Stand works with my snowball. Thanks. Problem fixed. I removed and installed the mic bracket of the Neewer’s scissor boom stand into the Snowball thread hole. And it works perfectly with it.